The Gryphon™ GPS4490 scanner is a presentation scanner in a stylish body available in white or dark grey. The GPS4490 scanner offers all the capabilities and performances of the Gryphon GD4400 handheld scanner but in a presentation-style shape. It allows hands-free scanning of small and easily handled items as well as handheld scanning operation for bulkier items.The reader’s compact size makes it the ideal solution for space-constrained environments. 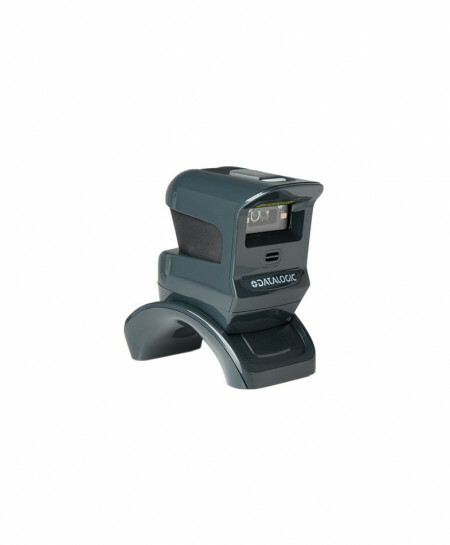 Its adjustable stand positions the scanner for easy, intuitive reading. The stand can easily be removed if it is not needed, further reducing the overall dimensions of the scanner.